Occupationally acquired cases (both employed and self employed) should be notified to the Health and Safety Executive (HSE), under the Reporting of Injuries, Diseases and Dangerous Occurrences Regulations 1995 (RIDDOR). If someone is disabled as a result of occupationally acquired Lyme disease, they may be able to claim Industrial Injuries Disablement Benefit. This benefit does not apply to self employed people. Contractors strimming long grass on verges: they may have protective trousers, but are they aware of the need to brush these off after work? Gardeners in rural gardens who may weed in shrubby growth with bare hands. Ticks will climb under sleeves and attach in armpits. All countryside workers should be aware of the tiny size of the nymph tick and the precautions that should be taken. Tick removal tools should be made available, and can be purchased from our on-line shop or from many vets. 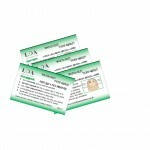 Tick bites known to have occurred during the course of employment should be entered in the accident book. Persistent infection: Lyme disease can be difficult to treat if not caught early. Later symptoms can fluctuate in intensity resulting in variable ability to work to previous standards. Psychiatric symptoms: Lyme disease can affect the central nervous system and mind. In many cases these symptoms are similar to those that may develop in the disease syphilis. This is because (although transmitted quite differently) these bacterial diseases are closely related. Psychoses including hallucinations and delusions. Emotional lability: rapid mood swings, episodes of rage, crying and reduced impulse control. Symptoms of cognitive loss such as memory impairment, word and number problems and diminished executive function. Occupational Health doctors may need briefing on these aspects. See the Neurology & Psychiatry page in the About Lyme section of this website. 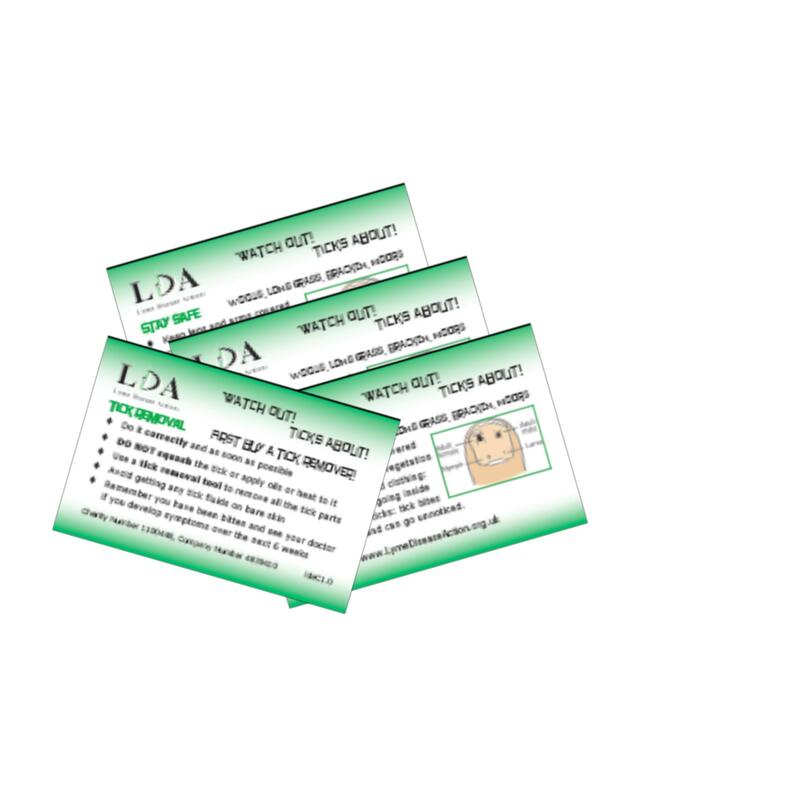 LDA can provide awareness posters and also small wallet cards with information on tick removal.